These palettes from BH Cosmetics have been out for ages now, and I didn’t even think I could actually get a hold of one. But one late night shopping spree turned into me finding out that I could get them and ship them to me. 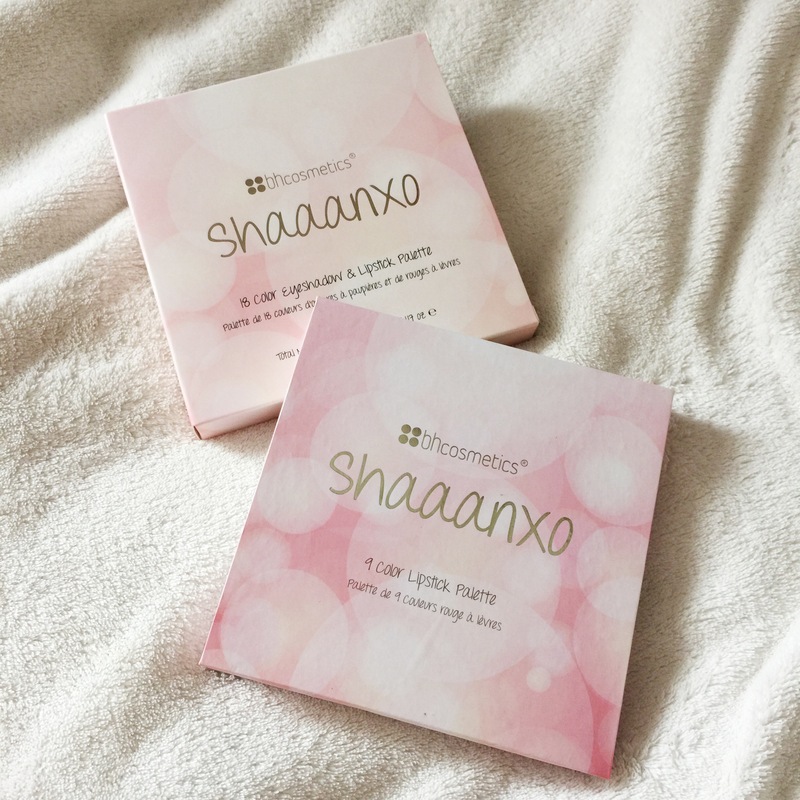 As I am a huge fan of Shaaanxo and watch all her videos I knew I had to get her palette hands down. But I also had heard so many good things about the Carli Bybel palette so I thought I had better buy that. And both palettes are absolutely gorgeous! I got both palettes for about $30 which is pretty reasonable including shipping. But when it arrived in the UK I had to pay a customs charge of £12, which I was a little angry at but its worth it at the end of the day! I still haven’t got around to swatching the lipstick side of the Shaaanxo palette as I can’t bring myself to make a dent and ruin it just yet! Soon! Both of the palettes packaging is lovely, but they are made of card so they will get ruined easily so I’m trying as hard as I can to keep them in pristine condition. Here are the eyeshadow palettes next to each other. As you can see they are actually quite similar in shades. They have very wearable neutral shades which are my favourite kind! In the Shaaanxo palette there is a mixture of mattes and shimmers which are perfect. The colours arnt what they seem though, which I love! When you see the swatches below you will see what I mean! And the lip side of the palette is just, beautiful! How perfect do these shades look! Here are the swatches of the palette, from left to right on my arm is from top to bottom in the palette. They are the most beautiful shades I have ever seen! These are the shimmery shades, and these are most definelty my favourite. They have a really lovely satin finish to them and look so glowing. This palette is also a beauty, the shades are so shimmery and warm toned. I love the fact the bottom row is larger, as they can be used for highlight. Here are the swatches of the Carli Bybel palette from the larger pans on the left to the mattes on the right. 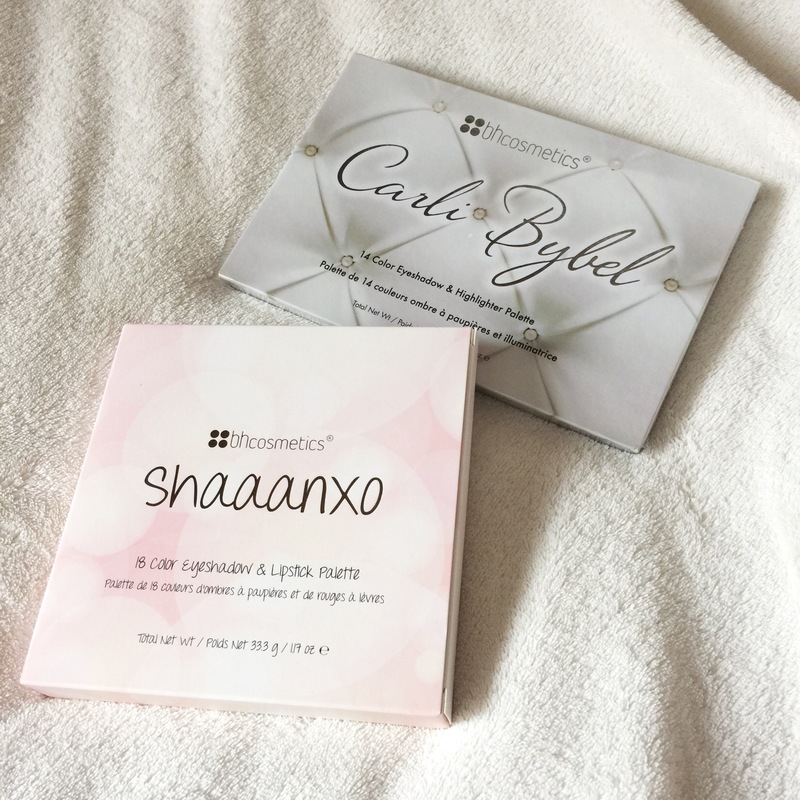 Overall I am so happy with both my purchases, but of course I’m a little biased to Shaaanxo one so that one is definelty my favourite. Hopefully one day I will be brave enough to try out the lip colours! Both of these palettes look so pretty!! I think I like the colors in the Carli bybel palette a little more for summer though! Omg, you’re so lucky!! I wanted to get Shannon’s palette too but I couldn’t find it anywhere… Anyways, I’d love to see swatches of the lip palette!